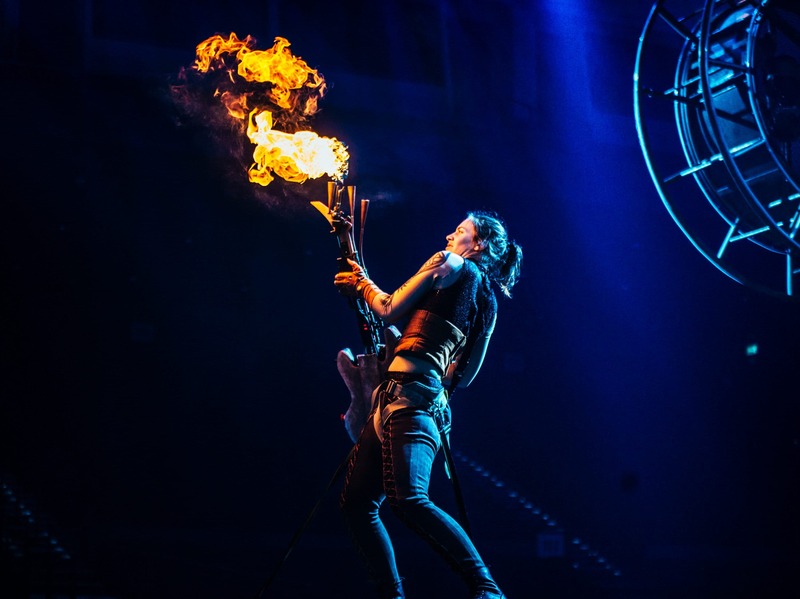 It’s hard to not take notice of the noise surrounding ELĒKRŎN, Macau’s latest headline show following the wildly successful nine-year run of Franco Dragone’s The House of Dancing Water. 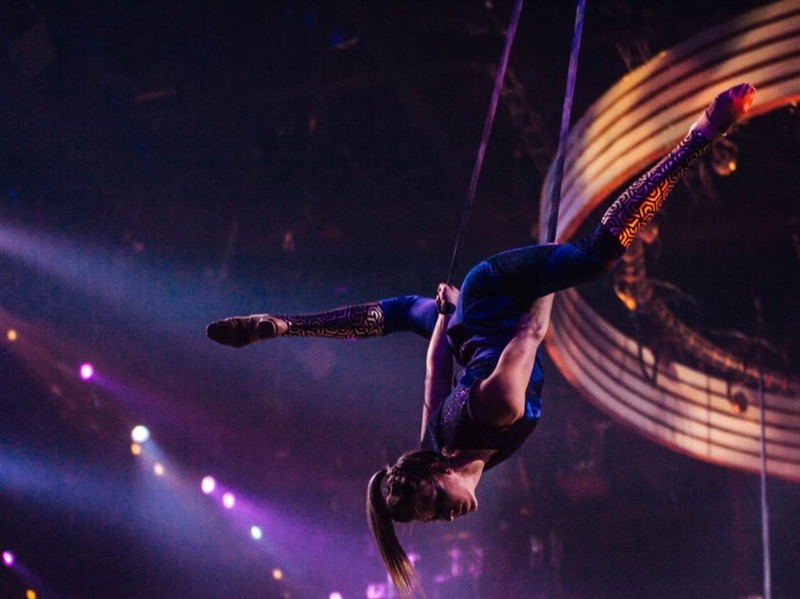 As the former spectacle wraps up mid-February, ELĒKRŎN ensures there’s always thrilling entertainment to catch during your visit to our sister SAR, and once again puts the former Portuguese colony on the map. Taking stage at Studio City, ELĒKRŎN takes audiences from the elegiac watery romance to a high octane spectacle featuring man vs machine. The story of ELĒKRŎN propels the audience 69 years into the future to 2088: into a raw post-apocalyptic world ravaged by electrical storms, rendering modern civilisation obsolete. As survivors vie for the ability to harness electrical power again, legend has it there is one such power station that still stands deep in the desert, and can offer the possibility of creating a new home. The problem? Everyone wants a piece of it. 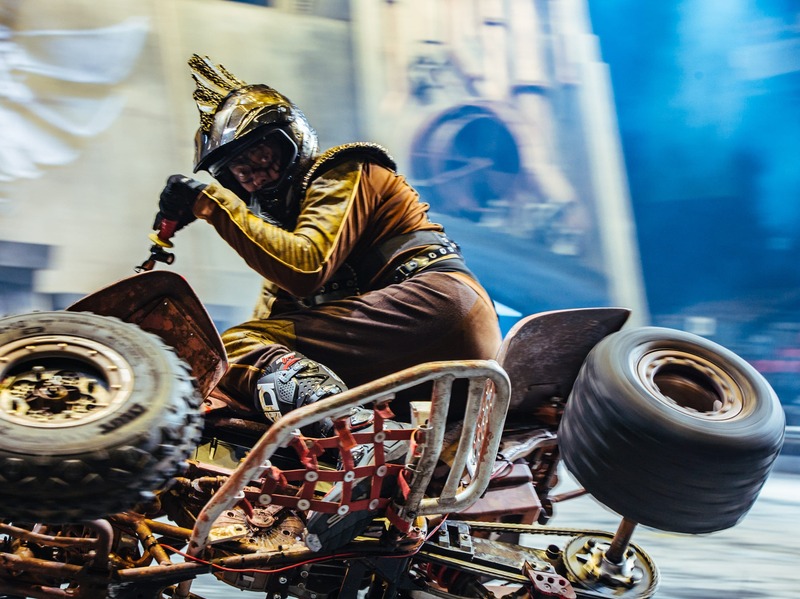 Think the lunacy on wheels from 2015 George Miller hit Mad Max: Fury Road brought to life before your eyes: The original narrative is propelled along by a set design by Stufish, the entertainment architecture behemoth behind the stages of A-list performers such as Lady Gaga, Rolling Stones, Beyonce, Jay-Z, Elton John and Madonna. Stufish is no stranger to designing events that go down in history, either. The studio was also previously behind officious occasions such as the 2008 Beijing Olympics opening and closing ceremonies, and the UAE National Day 40th Anniversary celebrations. Enlisting over 150 cast, crew and creative specialists (some are Guinness World Record holders), the 75-minute ELĒKRŎN combines breathtaking stunt driving, circus acrobatic acts, parkour specialists and wing walkers on a bi-plane to ensure a truly breathtaking performance that will have you on the edge of your seat from start to finish. Circus acrobatics get the spotlight in between the high octane car stunts. Prepare for plenty of dazzling pyrotechnics. The fast and furious speed stunts will have you on the edge of your seat. The show has also incorporated a bespoke fleet of Tesla all-electric sports cars, buggies, quad bikes, FMX trials and motorbikes — even a biplane — in the entourage. 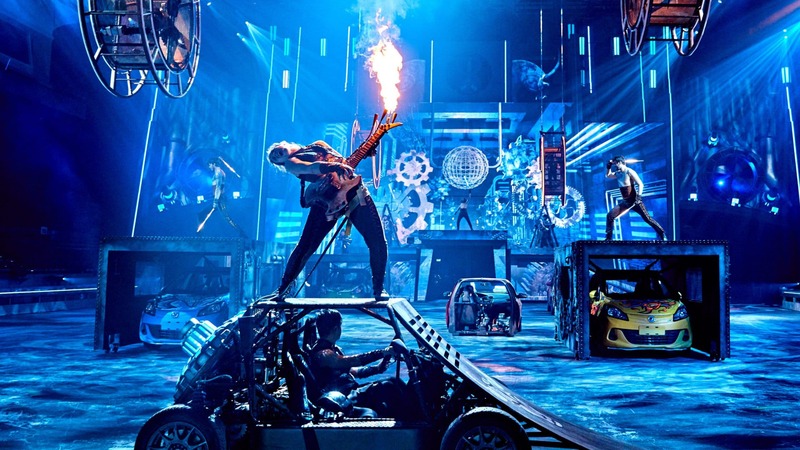 It’s the first production in the world to do so, and you’ll get to see them impressively sprinting through pyrotechnics and fireworks and defying gravity at each turn. After admiring the feats in such a dizzying spectacle, there’s no need to rush to the ferry: a range of ELĒKRŎN Electrifying Packages can have you resting your feet with a King room overnight stay in Macau with a pair of ELĒKRŎN tickets. Additional offers include perks such as entertainment vouchers or access to Studio City’s expansive pool. ELĒKRŎN tickets range from MOP$280–980 and are available for purchase here.